Did you have a chance to check out my post about the The UpSkill Project last week? 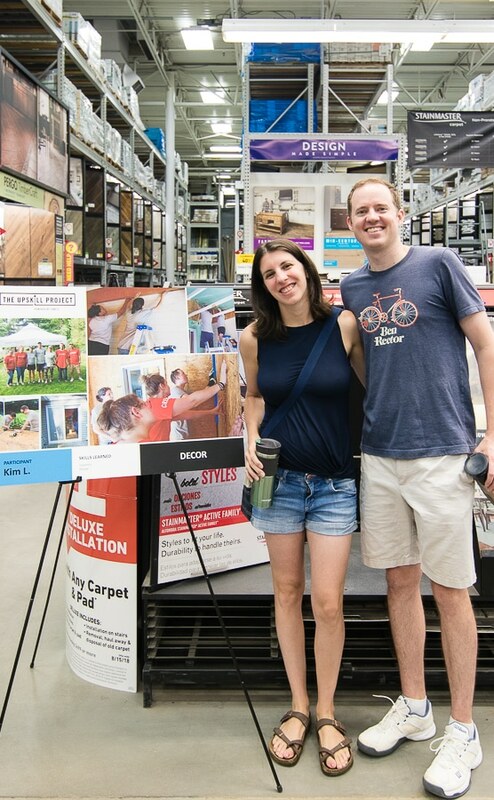 I had so much fun partnering with Lowe’s and tagging along on this DIY project. 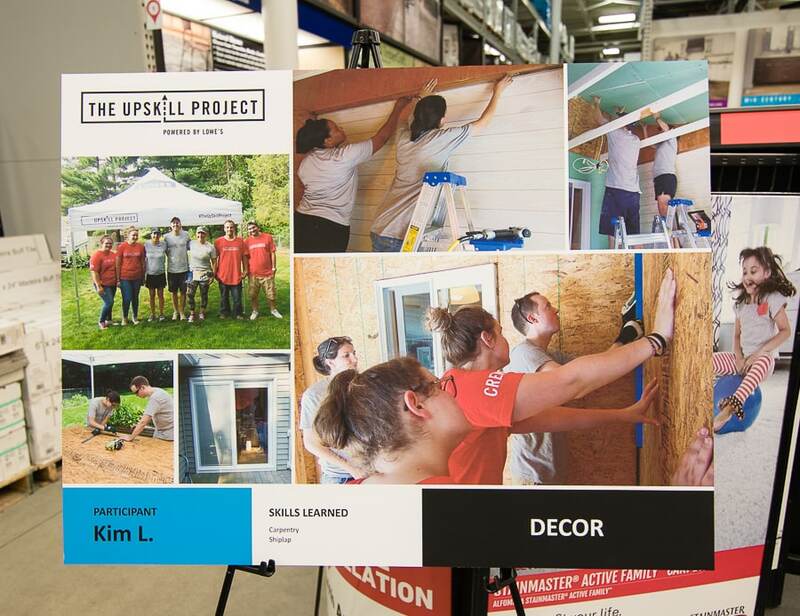 I was excited to get a chance to connect with Kim and Brian and the other UpSkill Project participants again this past weekend when Lowe’s hosted The UpSkill Workshop at their Grand Rapids location. 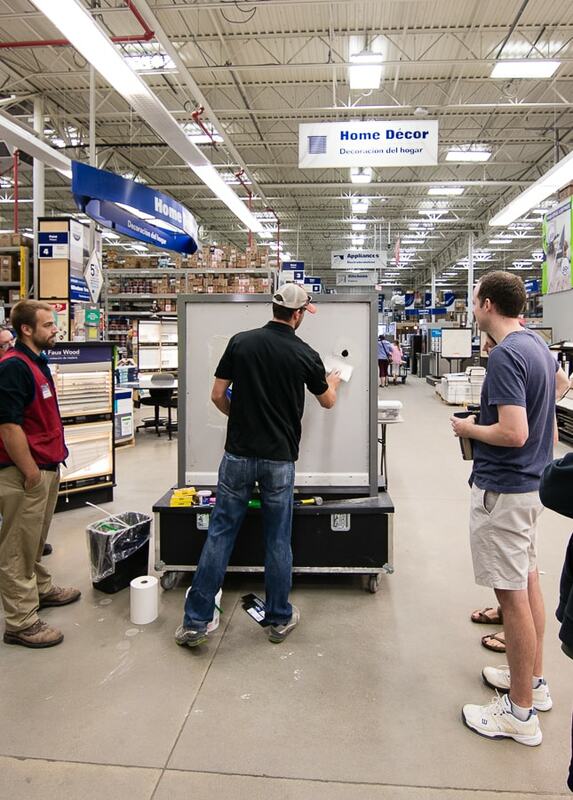 There were demonstrations on how to paint furniture and cabinets. 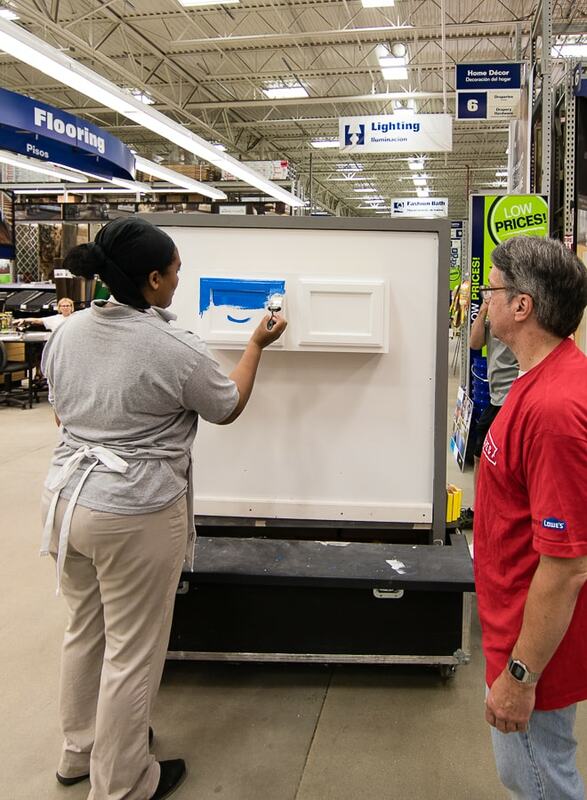 Did you know Lowe’s sells special paint for cabinets and furniture? It’s a bit pricier, but worth the investment because it hides your brush marks so much better. Using an angle brush really allows you to get into the corners and edges that you find on furniture and cabinets. The DAP DryDex spackle that starts out pink and turns white when it’s dry is a game changer for me. 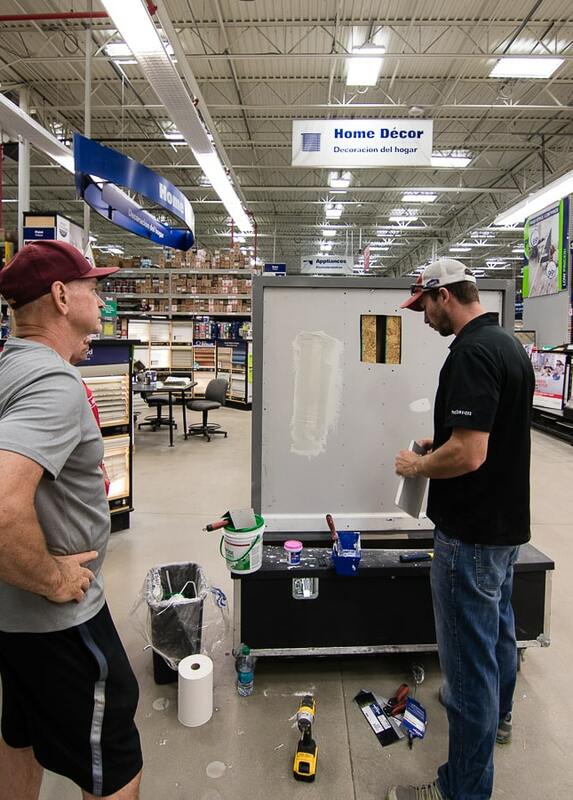 The experts emphasized letting the product dry completely, as this is critical to getting a smooth drywall patch. I’m guilty of being too impatient and rushing that part! They also shared methods for patching a larger hole with a mesh patch kit or mudding and taping. Tips on plumbing and installing a faucet. The Mr. and I attempted this when we were newlyweds, let’s just say we could have used the expertise…the key is having the right tools! 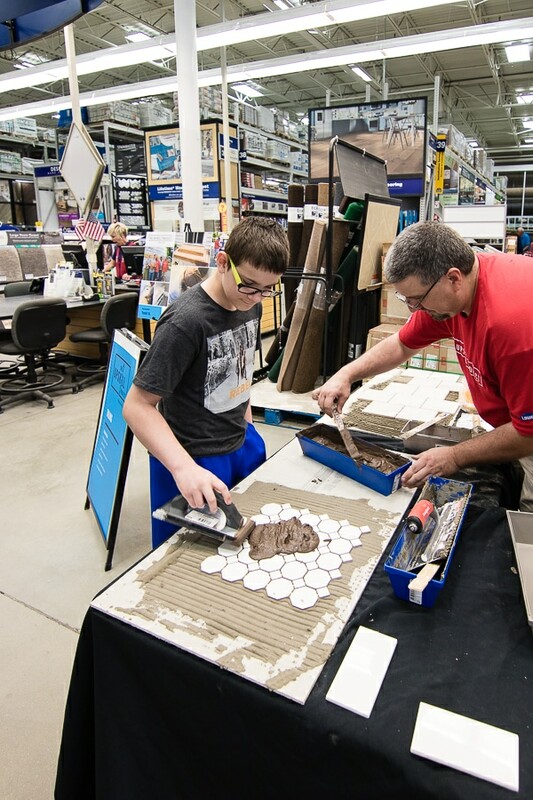 The busiest station by far was over in the flooring department, where they were teaching how to tile and grout. Wow, I could have used their advice back at our old house. The Mr. and I tiled our entire master bathroom by ourselves when I was 7 months pregnant. Here’s a photo if you don’t remember. 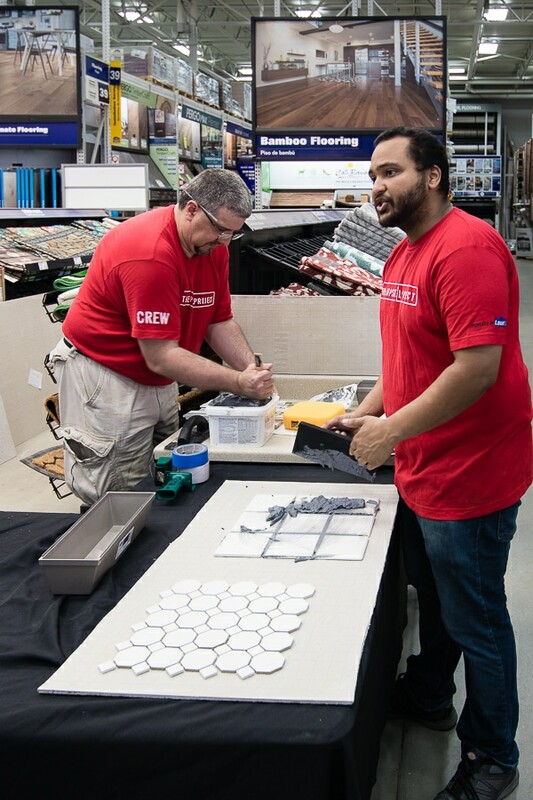 They actually used the same tile we bought from Lowe’s for the demonstration, and let’s say I’d like a do over, because we went about grouting entirely the wrong way! It may have had something to do with the fact that I couldn’t really see my feet well at the time, but I learned a lot from these guys. Pushing the grout down into the grout lines is really key to the tiling process. Holding the grout float at a 45 degree angle makes all the difference in being able to spread the grout easily and fill the lines completely. It was also a chance to meet all the other project participants and check out their work. 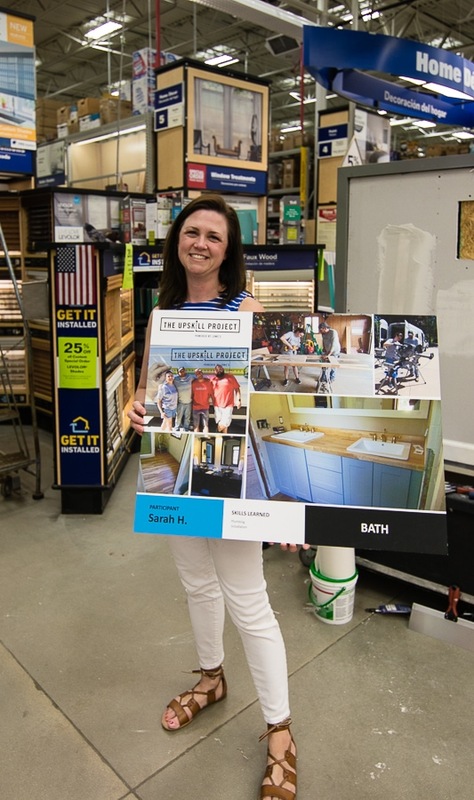 I got to meet one of my blog readers Sarah, who was also able to participate and see her amazing bathroom transformation. From outdoor fence projects, to bathrooms and tiling projects it was great to hear all of the new skills the homeowners learned along the way. 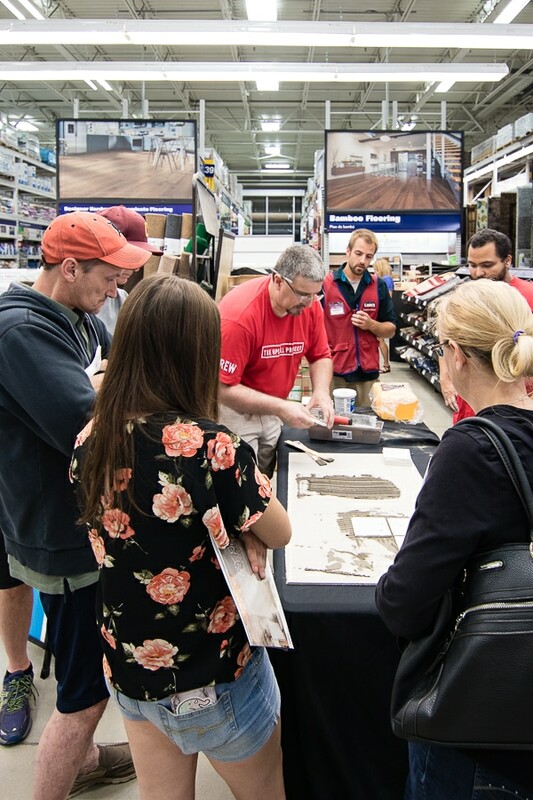 Several of the participants were there buying tools to get started on their next DIY project. 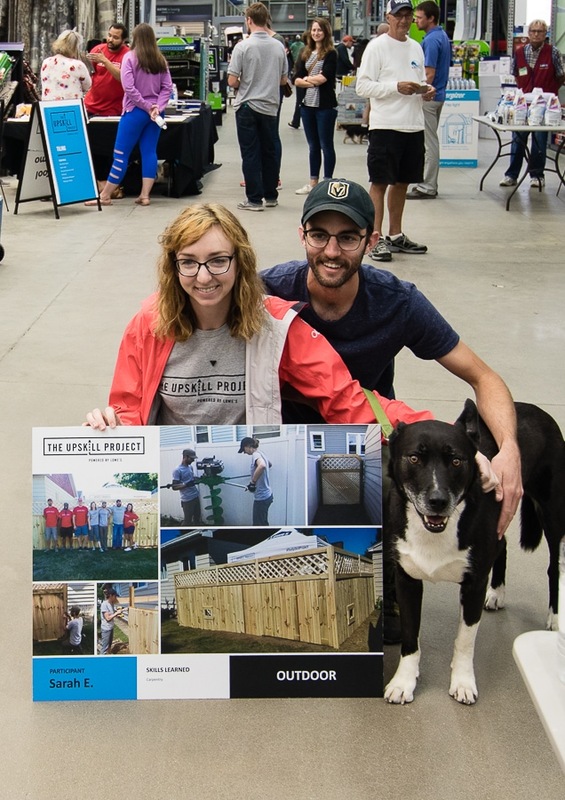 It was so great to partner with Lowe’s on this project and see the jumpstart the homeowners were able to get on DIY projects around their homes! 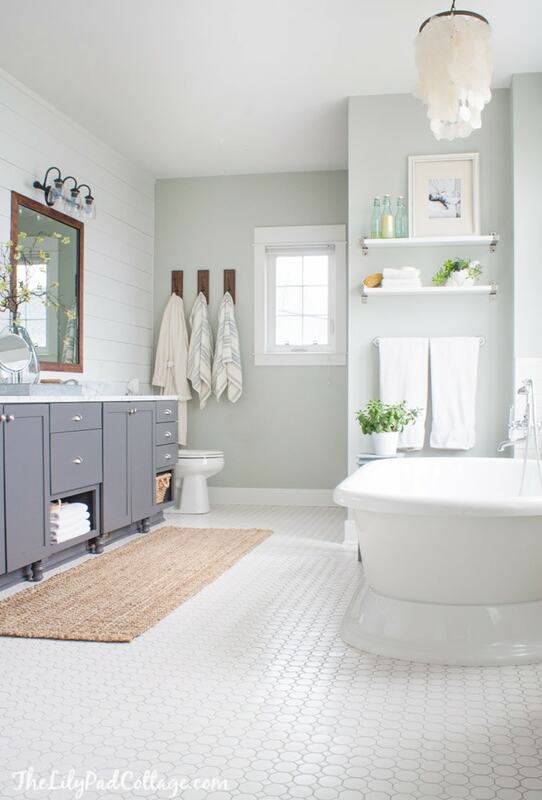 All of this DIY has me itching for a good project and dreaming up tile ideas for the pool house bathroom. That’s a ways off for now, so I think I’ll settle for repairing the hole in the wall in the basement from some over enthusiastic hot wheels racing. what an amazing idea that Lowes offers that in the States. 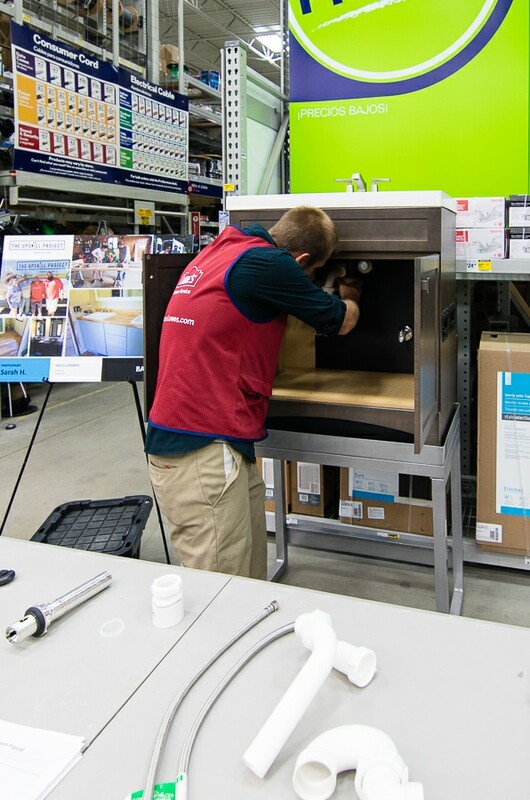 Wish Lowes could extend the Upskill Project here in Canada. That would be nice, I’m not sure they have any plans to do that but thanks Kai!